At OCAMaster, we only sell premium grade glass, polarizer film, OCA glue, and many other top quality materials to our esteem clients.We have been in this business for a long period of time and on the process, we have tested many different glasses from different manufacturers and we are happy to inform you that we have found the most reliable and trustworthy source for our customers. We urge all our customers to ensure that they always choose high-quality polarizer film for their phone LCD screen refurbishing and original glass for those who want to refurbish Samsung edge screen. 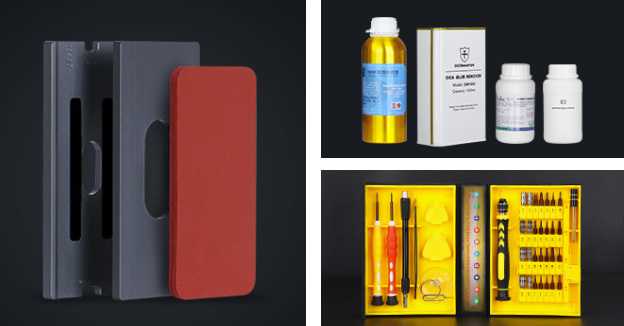 High-quality OCA glues not only resists polarizer and delay bubbles but they also determine the overall color and static of the screen.When you choose OCAMASTER, then you can be sure that you will get the best products. We have also invested a lot on mold and jig technology. What separates us from our competitors is the fact that we always give our customers quality molds that resist air bubbles.Our molds also make accurate alignment just like the original factory screen. We also take pride for being the first company to develop in-frame lamination for Samsung edge screens refurbishment. Just one year after its launch, the in-frame lamination has become extremely popular. Our cutting edge airbag technology enables our top-notch machines to laminate glasses safely without any delays. How to set up your laminator machines (K6/K7/K15/Xpert)? Please read this article to learn about how to set up your machines properly. Why does the tiny bubbles always reappear after LCD bubble removing? 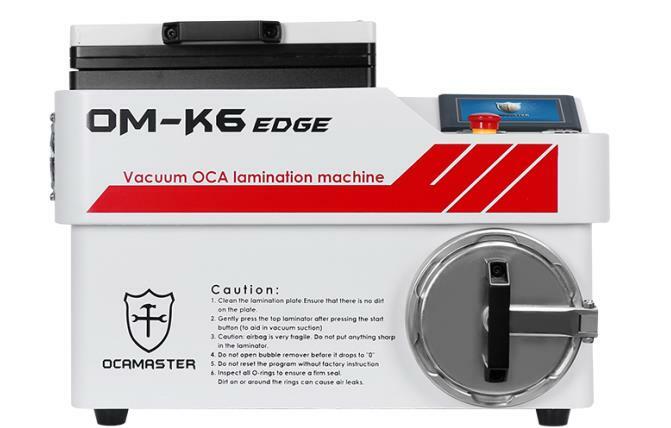 First, you have to understand that OCA is a special glue, it is softer than solid but harder than liquid LOCA glue, we never got bubbles when use LOCA glue to refurbish LCD, that's because of bubbles can be removed easily from the liquid, but air can't pass through colloid easily.